Yearly membership in The Club is offered to both our homeowners and local friends (Kama'aina). As a member, you are afforded access to the Resort amenities of two world-class hotels - Mauna Kea Beach Hotel and The Westin Hapuna Beach Resort. There are four levels of participation from which to choose. Our Platinum, Gold and Silver levels include special golf rates, privileges at both beaches and fitness centers plus three pools and the private Seaside Tennis Club, preferred parking, dining discounts and a resort charging account. 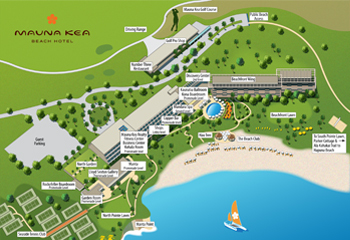 As a fourth option, we offer The Hapuna Club level which provides access to amenities at The Westin Hapuna Beach Resort including both a family and adult pool, a Wellness Center which features the Westin Workout, preferred parking, resort-wide dining discounts and member charging account. 2019 Enrollments are now available online. ENROLL NOW. For NEW Enrollments including 2018 please contact MKR-Member@maunakearesort.net or call (808) 880-3209. 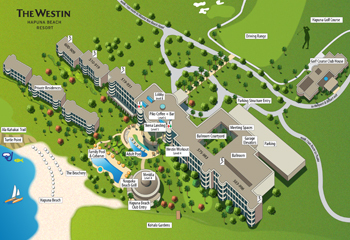 Enjoy access to a variety of amenities at both Mauna Kea Beach Hotel and The Westin Hapuna Beach Resort. Earn points automatically while simple enjoying your stay!